If this trailer is any indication though, it looks as if Daredevil’s second season will focus just as heavily on the “bad guys” as the first season did, when Wilson Fisk was nearly as prominent as Matt Murdock, despite his relatively late introduction at the end of the third episode. From what this trailer shows us, that will not be a bad thing. Jon Bernthal has such presence, and the nods to his tragic history makes him sympathetic enough that I’m sure we’ll end up caring for him, even as we’re (probably?) rooting for the other guy. Overall, the trailer looks amazing and definitely whets my appetite for more. 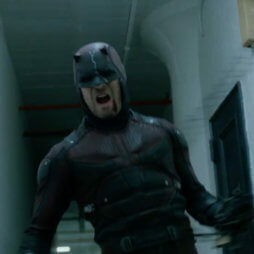 I’ll keep this post brief though, as I’ll return in just a couple of days with a podcast episode where I will go over the trailer in excruciating detail with fellow Daredevil fan Claire from The Defenders Podcast. For now, I’ll just leave you with the trailer below, so you can watch it over and over again without having to go anywhere. At the end, I posted some stills from the trailer for you to look at (Sister Maggie? !, and is that an updated costume?). Click to open the gallery. Let’s continue this conversation in the comments, and be sure to let me know if there’s anything in particular you want me and Claire to cover on the podcast! Soo good! I keft my initial thoughts on the why season two will do better then season one post. But just to mention some of my discussion points. The notion that Matt helped inspire Franks vigilante lifestyle, Frank throwing out Sticks line about half measures, balancing Matt and Frank and showcasing both their differences and their similaritirs, how close Matt is to being Frank and how the character arc from season one pushed him away from being like the Punisher. 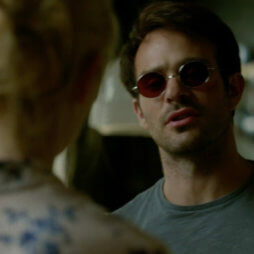 And it will be interesting to speculate about Elektra and where she falls between Matt and Frank. Whether or not Karen’s comment about “Maybe we created him by creating Daredevil” means that she knows Matt’s secret identity. Hi Christine, really looking forward to your podcast with Claire to discuss this trailer- and what a trailer! Loving the way things have stepped up- first season portrayed Matt as the violent one (re: Foggy’s disgust at discovering Matt’s alter ego, and Matt saying he doesn’t want to stop) but now there’s a new player in town who is far worse! Bernthal looks awesome as Frank and although his frame is a bit slim compared to the Punisher in the comics (who’s built like a tank) I guess it’s small enough to get over. Also interesting to see how they fight against each other. In the comics, the Punisher pretty much admits that hand-to-hand he’s no match for Daredevil. 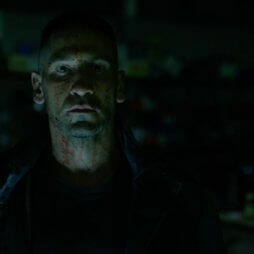 It’s only because of his will and high pain threshold that he sticks it to DD…would love it if you could discuss on the podcast the possibility of seeing the Skull costume on Frank and possibilities of DD, Punisher and Kingpin in season 3, in gaol (I.e the Bendis or Brubaker run in the comics..?). All in all, can’t wait for part 2! There’s been much debate online about the “one more day from being me” quote. A lot of people seem to think they’re ripping off Batman Killing Joke. I have heard DeKnight say the same thing before season 1 came out when he described Murdock. A few people are saying its from Miller’s run. Anybody have the issue number to that from Miller’s run? Very well done trailer. Has anyone ever done a trailer before that ends on a cliffhanger for the next trailer? Bernthal looks amazing as I knew he would. He’s an amazing actor. I like that they aren’t actually giving away very much. If you really examine whats going on in each shot frame by frame (not that any of us would do that 🙂 ) you can tell almost all the moments they show between Murdock and Castle are from that “scene” everyone is already talking about and dissecting from the comics. In those fight scenes of DD in the hallways and corridors he still has the chain and you can see the tape still on his hand, so those take place right afterward. Favorite part was the aforementioned cliffhanger. Can’t wait to see more of Elektra and her interactions with Matt. Rachel, the one day away from being me line is from The Killing Joke by Alan Moore. The tag line from that story was the Joker saying the only difference between sanity and madness is one bad day.